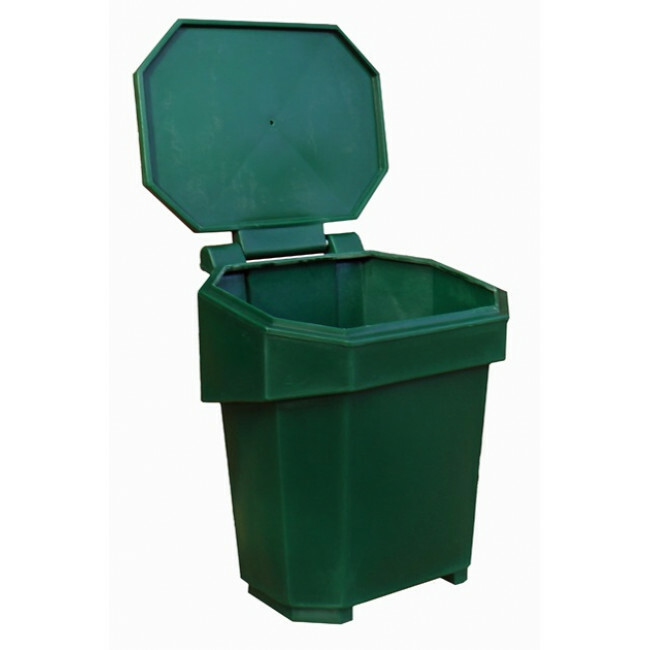 With its compact and stackable design, the Compact Grit Bin - 6 Cu Ft offers a cost-effective and space-saving grit storage solution. Designed to be as maintenance-free as possible, it is manufactured in the UK from impact and UV-resistant polyethylene. The unique 8 sided design provides a high level of storage capacity with a minimal footprint which is ideal for areas where space is at a premium. The base of the grit bin has a slotted groove to allow it to be manoeuvred using a standard forklift. 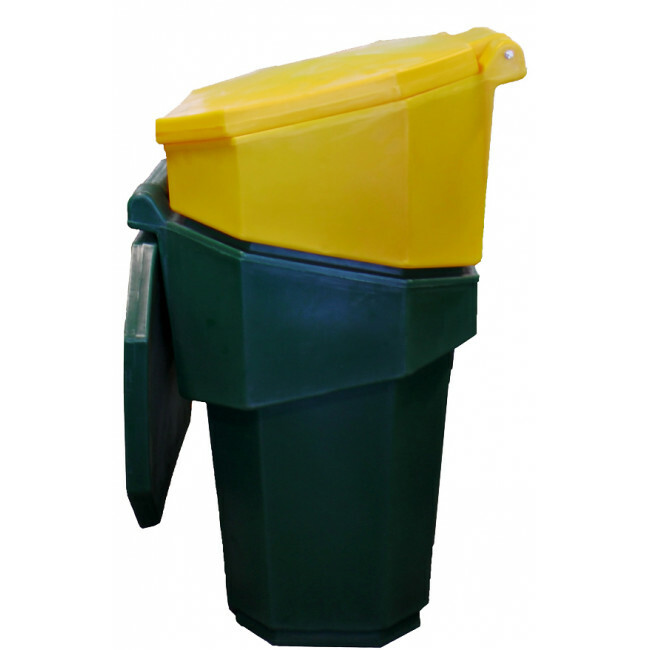 Standard colours are yellow, green, black and red but other colours are available on request. 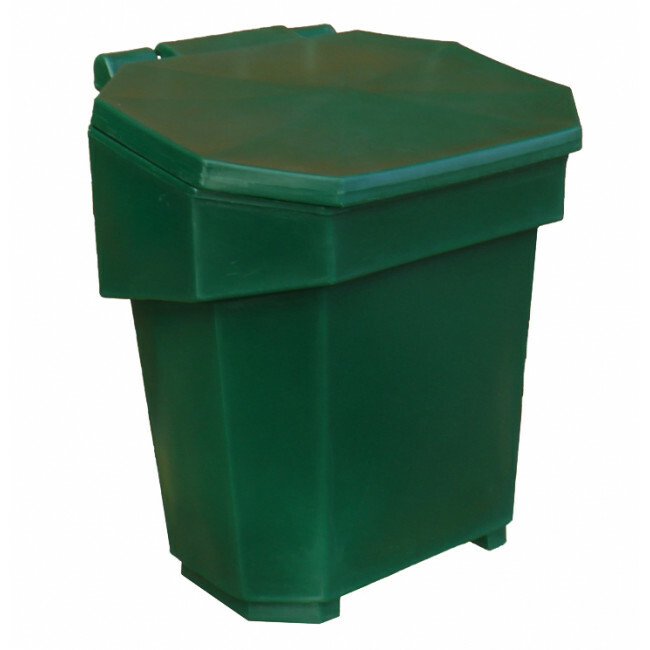 An important feature of the Compact Grit Bin - 6 Cu Ft is the ability to stack inside one another for ease of storage when not in use or for stacking on pallets for more economical delivery costs. An optional hasp and staple can be fitted to allow a padlock to be used to secure the grit bin (padlock not supplied).